This week saw the premiere of British horror series Penny Dreadful on Sky Atlantic. And filled with dread it was. It hooked me in the first minute and had sitting on the edge of the seat wondering what was to follow. Penny Dreadful manages two satisfying scares within three minutes of the start. A young mother creeps nervously through a rickety house, aware of strange noises as she makes her way to the toilet. The noises intensify. She’s scared but not for long because misfortune soon puts an end to that. The second scare is not far behind. The opening was promising and the first episode delivers. It has everything a horror story should have: mystery, suspense and screams. I’m a fan of horror TV title sequences, American Horror Story’s Coven and Asylum being my favourites, and was thrilled to see the beautiful and stylistic opening for Penny Dreadful. The quality of the production is first class and no doubt influenced by its cinematic producer, Sam Mendes, the man behind Sky Fall and American Beauty. 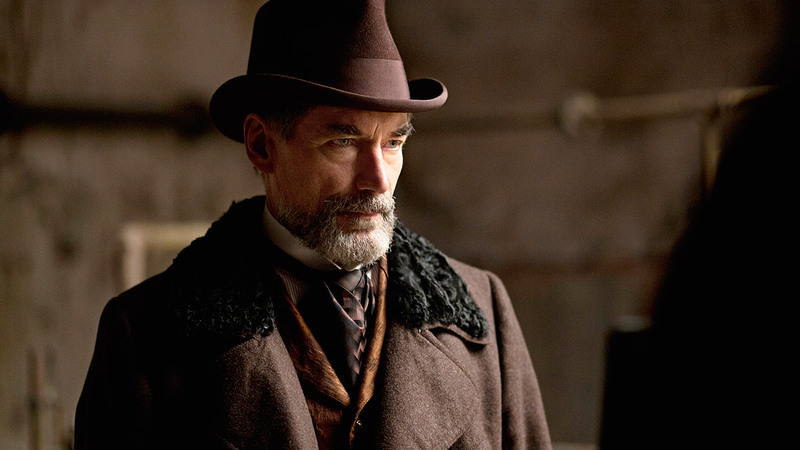 The story is set in the Victorian era, Sir Malcolm Murray (Timothy Dalton), a well to do explorer is on a quest to find his daughter who has been kidnapped by a supernatural force. 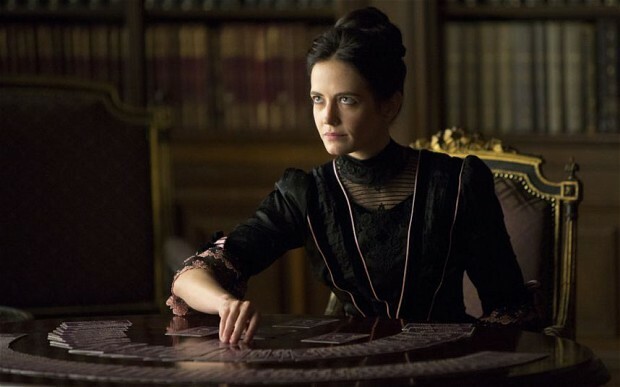 With the help of clairvoyant Vanessa Ives (Eva Green), the two try and locate the kidnappers. But it’s going to take a lot more than just the two of them. 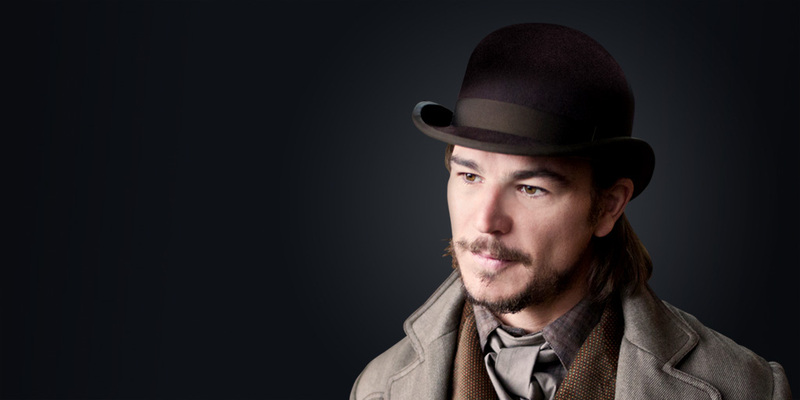 Ethan Chandler (Josh Hartnett) is first to be recruited to their supernatural quest. Ethan is a sharpshooter in an Old West themed carnival and Vanessa persuades him to join them and put his potentially deadly marksmanship to better use. This negotiation takes place while Vanessa shuffles and spreads a deck of Tarot cards. It’s a true gothic romance scene as she delicately spreads the cards in a wide arc across the table, flickering fingers teasing each card out into a curved line. She begins taking cards from the spread as if reading Ethan’s future. And when asked to turn over cards himself Ethan picks out The Lovers. Does this augur a possible love between the two? I’d bet my gothic corset on it. Meanwhile monsters and Egyptian vampires wreak havoc in the city of London. Bodies are found decapitated and devoured. The attacks and the kidnappings are on the increase but the police and the public put it down to Jack the Ripper, unaware of a more sinister cause. In their quest for truth our newly formed band of supernatural searchers confront some unsavoury vampires and an inhuman corpse with hieroglyphics branded on its skin. They bring the body to a young surgeon for inspection and try to convince him to work with them. Unfortunately he has other projects in mind like bringing the dead back to life. Yes, you’ve guessed it, this is Victor Frankenstein (Harry Treadaway) and he has a much more pressing project on his mind and a patchwork corpse nearby that needs reviving. 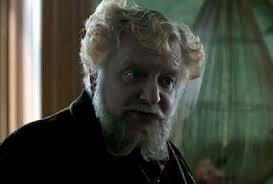 My favourite character so far is eccentric Egyptologist Ferdinand Lyle (Simon Russell Beale). He certainly breaks up the tension with his bizarre performance, giving us a break from all the doom, gloom and morbidity. Penny Dreadful is clever writing. The dialogue is poetry to the ears. It creates a platform where well-known characters and stereotypes from popular fiction come together to do battle with evil. I read that Dorian Grey will be making an appearance. The more the merrier I say. It’s exciting to see how popular characters will behave or react in this new world and how their characteristics will develop. It gives them a new lease of life in much the same way that Alan Moore brought similar characters together in The League of Extraordinary Gentlemen (the graphic novel series not the less successful movie). The future for this new horror series is dark, twisted and inventive. And it seems that horror on television will continue to grow. Dusk till Dawn series 2 is in the making, Salem has not long premiered, Rosemary’s Baby has begun and there is a new season of AHS to follow. Be prepared for more TV scares to fulfill your insalubrious needs. You can catch Penny Dreadful on Sky Atlantic. I love, love, love Penny Dreadful! I was hooked from the first, and the second episode pushes the creepy factor to intriguing heights. The character development is outstanding.